Fast acting topical lotion for pain relief. Hemp Terpenes with essential oils and herbs. For all types of pain including: arthritis, muscle strains and sprains, backache, tendonitis, skin issues, hip & joint pain, headache, migraine, broken bones. 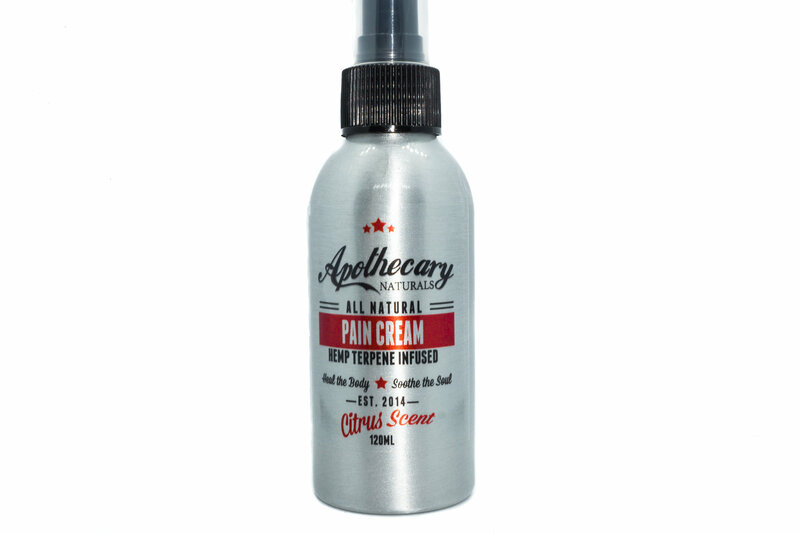 Ingredients: organic hemp terpenes, coconut oil, vegetable emulsifying wax organic, shea butter, vegetable glycerin, vitamin E, sunflower lecithin, MSM (methylsulfonylmethane), potassium sorbate, optiphen. Essential Oils Of: organic essential oils of rosemary, eucalyptus, cypress grapefruit, peppermint, patchouli, lemongrass.